There are many new choices for generating and managing power on your boat – solar cells, fuel cells, high-output alternators and of course – a genset. Did you know a genset on your boat is the most expensive power you can buy? Our needs for power on our boats have became higher. Computers, tablets and iPhone chargers, microwave ovens, music systems and even the Instant Pot may be expected to run off a modern boat’s electrical system and many vessels don’t have a “balanced electrical system” that performs properly, has reliability, and is designed to last. This course is designed to help you understand how to design, check, maintain, and upgrade your electrical system to match the power requirements on your boat. First, we will take a look at the typical power demands a modern electrical system supports. Do you know how much your microwave draws from your inverter and storage system? We will total up the electrical draw different systems require. 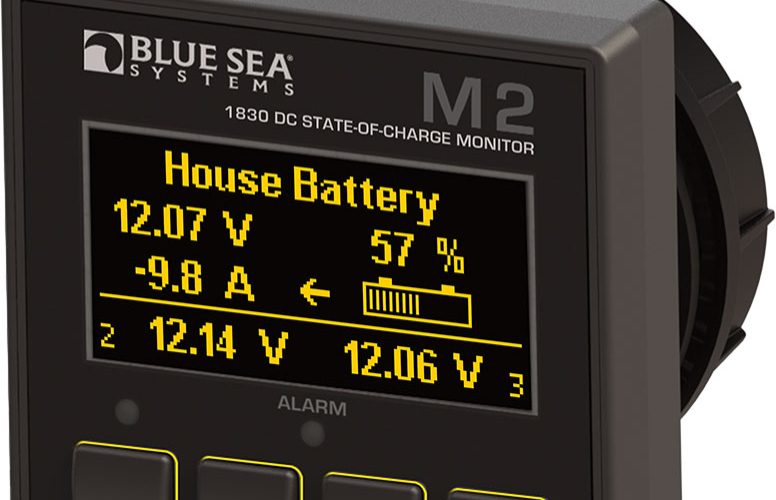 Next, we will cover the size of your power storage system, and how to monitor and keep it charged. We then will wrap up the seminar by providing other ways to produce energy and their cost: high-output alternators & battery chargers, solar options & controllers, new fuel cells, and even wind energy. After taking this course, you will become the ‘master’ of the energy equation onboard your cruising vessel.